Having caught the web by surprise with their instantly catchy single "Circles" last year, that also featured a collaboration with Vanic, machineheart are a five piece indie pop act from Los Angeles who are on the rise. 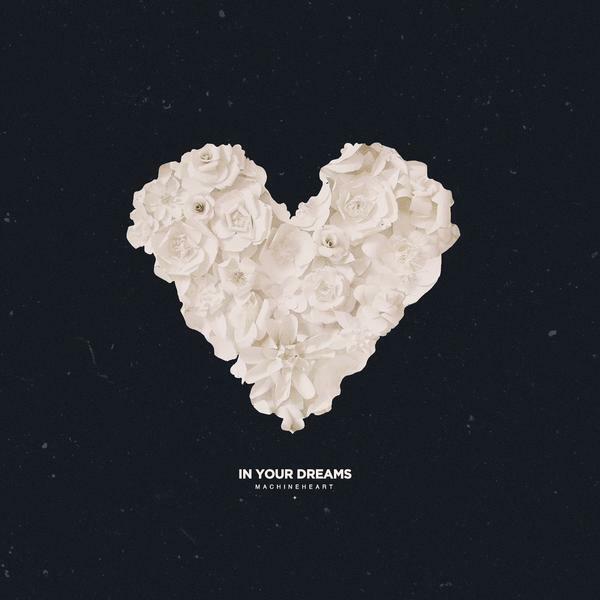 With their brand new In Your Dreams EP due out tomorrow, we find machineheart continuing to build off of their previous material, proving that they are far from a one trick pony. As their Columbia debut is due out later this year, there is no telling where their momentum will take them. In a similar fasion to how their career seems to be on the up-and-up, machineheart's new song "Watercolors" is an elevating, energetic ride. Beginning with a tamed exchange between an acoustic guitar and singer Stevie Scott's soothing vocals, it doesn't take long to escalate into its free-for-all dance hook. Of the song, Stevie had this to say, "It has that feeling of running away and getting lost somewhere in between adolescence and falling in love. That place we go to remember our childhood and the inner world we had created for ourselves. That's what we wanted this song to feel like – that untouchable, unspeakable place." Supporting Smallpools on tour this fall, be sure to catch machineheart on their extensive tour (tickets on sale tomorrow here).